Eight of my fellow quilters from the Thunder Bay Quilt Guild are doing a denim shirt round robin. 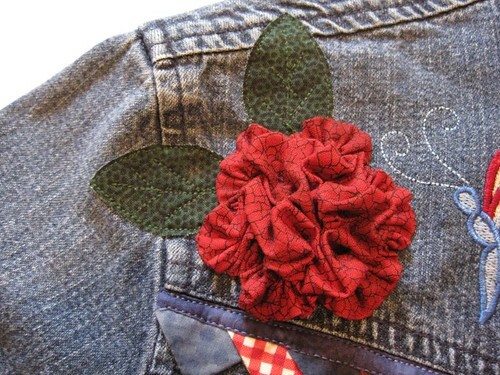 I especially enjoyed adding this rouched rose to this particular shirt. One person had added the red, white and blue prairie points to the collar and yoke. 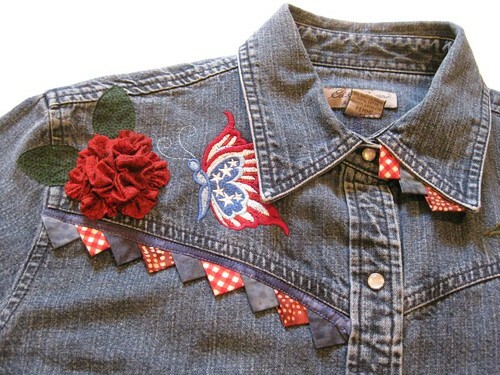 Another person machine embroidered the red, white and blue patriotic butterfly. So I decided to give the butterfly something to eat by adding a red rouched rose.